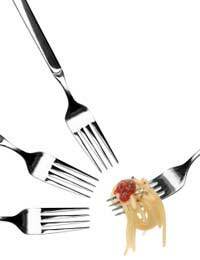 Home > Ask Our Experts > Recovering Anorexic: How to Help Her Eat Faster? I am currently looking after my 18 year old daughter who has anorexia. We have gone from 200 calories 3 months ago to 1700 calories at present. The issue now is how do I get her to eat faster? She is awake 12 hours a day and spends nearly all that time eating. Is your daughter's treatment being overseen by a GP or a specialist? If this is not the case, ask your family doctor to refer your daughter to a specialist in anorexia nervosa. It is absolutely essential that her progress is monitored by a health professional throughout her recovery. To address the question, it sounds as if your daughter has already made good progress. But bear in mind that calorie intake is a separate issue from weight gain. People with anorexia will often try to burn calories off through exercise, and hide food to make it appear as though they have eaten, along with a range of other behaviour intended to deflect concern. In fact, just as worryingly, obsessive calorie counting is in itself a sign of anorexia. Be very careful that a justified concern for your daughter's eating habits does not play into the obsessive preoccupation with food and eating that people with anorexia have. Also consider that eating too quickly is not healthy for any of us. Taking your time over your food, as long as it eventually goes down, is thought to be better for the digestion. Rushing your food can lead to nausea and stomach pain. Neither of these symptoms is likely to encourage your daughter to enjoy food. This is one of the greatest challenges for people with anorexia: they tend to see food as something bad, as opposed to something to be enjoyed. So the question is not how much she is eating, or how fast, but whether she is successfully putting on weight. The difficulty is, of course, that any pressure put on your daughter, either to eat more, or eat faster, or be weighed, can lead to anxiety and a potential relapse. This is why it is essential for those health professionals "on the ground" to manage the process of recovery. Recovery from anorexia is a slow, painstaking process, and cannot be rushed. Forcing, even gently encouraging, your daughter to eat more quickly could provoke a negative reaction and you could be back to square one. It is, therefore, absolutely essential that a trained specialist provides guidance to you and your daughter, so that together you can effectively manage this debilitating and very serious condition.